Oh no! 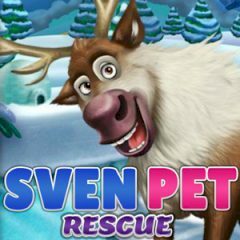 Sven is in trouble! You need as soon as possible save the poor deer. First of all you need to bathe and dry him, do not forget to get off all the thorns. Do everything that he could ride Elsa again. Enjoy the game.